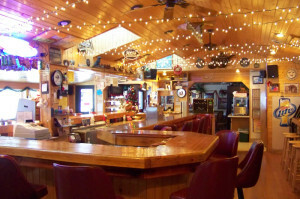 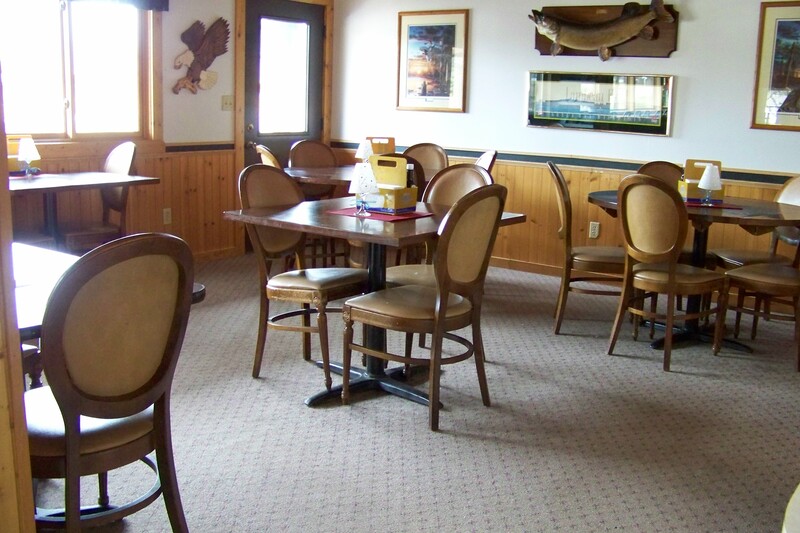 Our full-liquor bar is a friendly place to stop for a break and enjoy a meal. 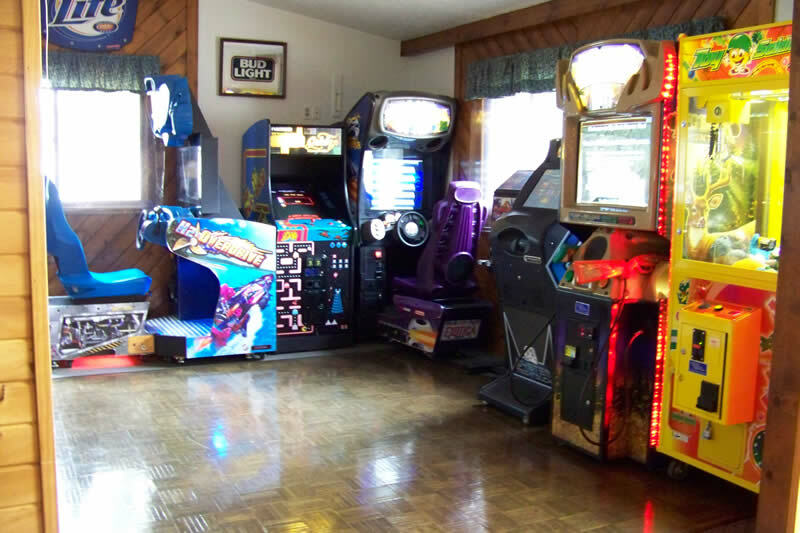 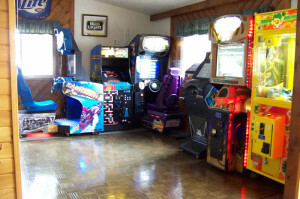 Our game room is open till 10 p.m. which gives the kids something to enjoy on a rainy day, or for the big kids at heart. 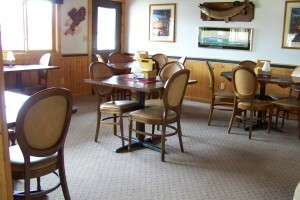 Daily happy hour from 3 to 6 p.m.
Air conditioned dining room large enough to hold your family. 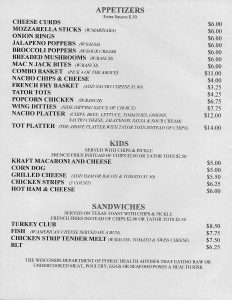 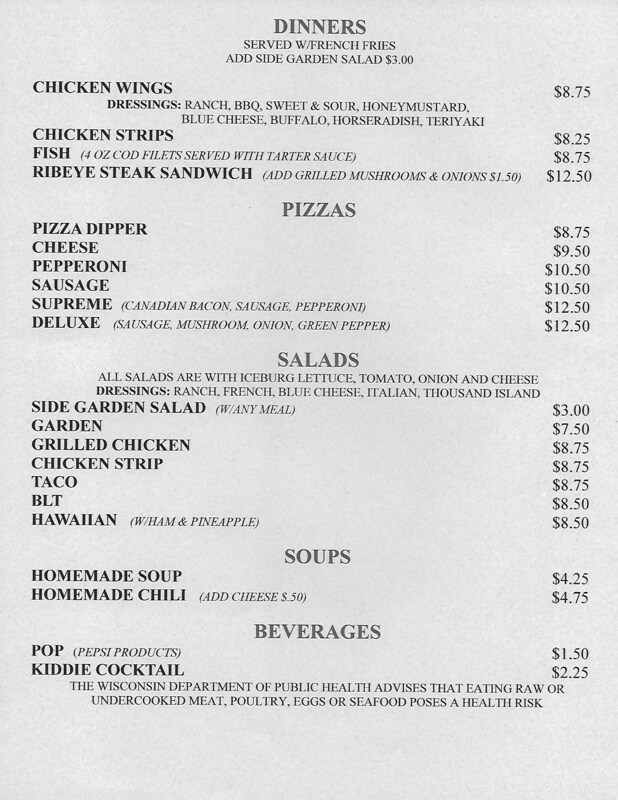 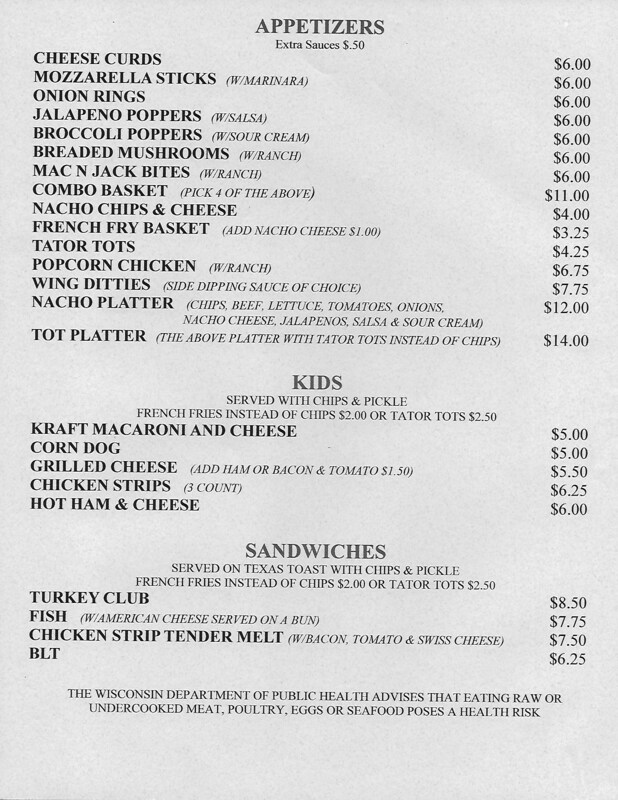 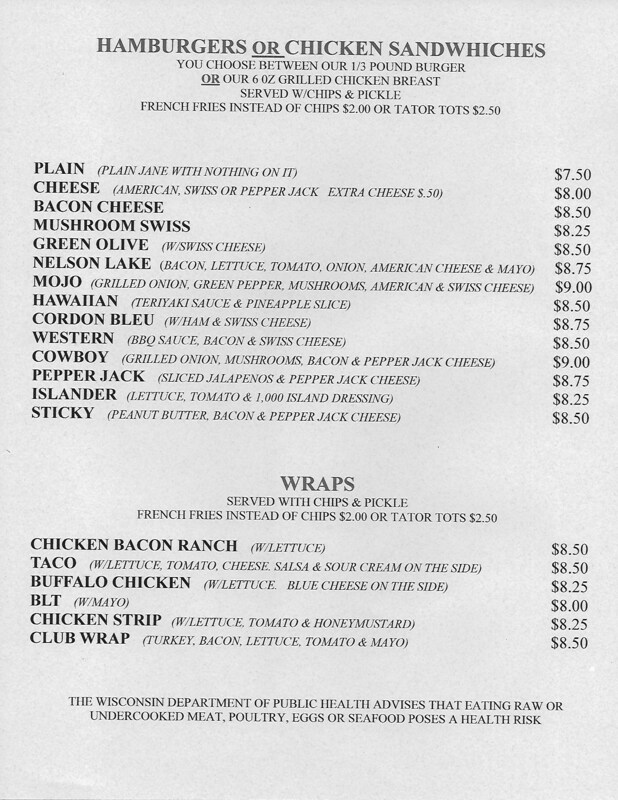 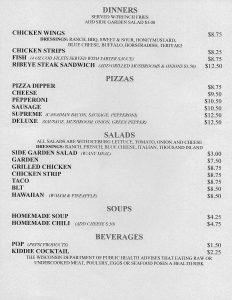 A full menu offering appetizers, sandwiches, wraps, salads, pizzas, and dinners, and don’t forget about our awesome selection of burgers.